Late Christmas Gift. One of my friends was able to meet up with me over the weekend and give me my Christmas gift she grew for me in watercolor pencils. 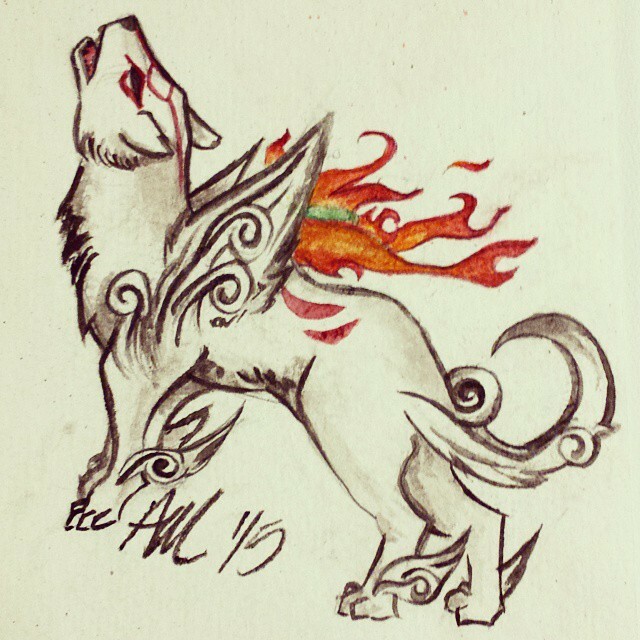 Okami is one of my top favorite video games I’ve ever played. So I was very ecstatic when she gave me this. Kingdom Hearts- Birth by Sleep. I got to almost finish this game over the weekend. It is the prequel to all of Kingdom Hearts, and explains a lot of the lore of the world/universe of Kingdom Hearts. It was originally a PSP game, but thanks to the Kingdom Hearts 2.5 Remix I could play it on the PS3. Waffles. Yep, it has been a long time since I have had waffles. I forgot how much I love this breakfast food until remembering I had some in my freezer.